He is one of our greatest actors and firm favourite to take over from Daniel Craig in Bond 26. He is also the subject of feverish fantasies for many thousands of men and women around the globe. Tom Hardy, however, delights in shocking physical and psychlogical transformations on screen and his new movie Fonzo is no different. The Brit star’s latest role as notorious gangster Al Capone tackles the tragic and terrible final years of a once-powerful man ravaged by sexually transmitted disease and dementia. 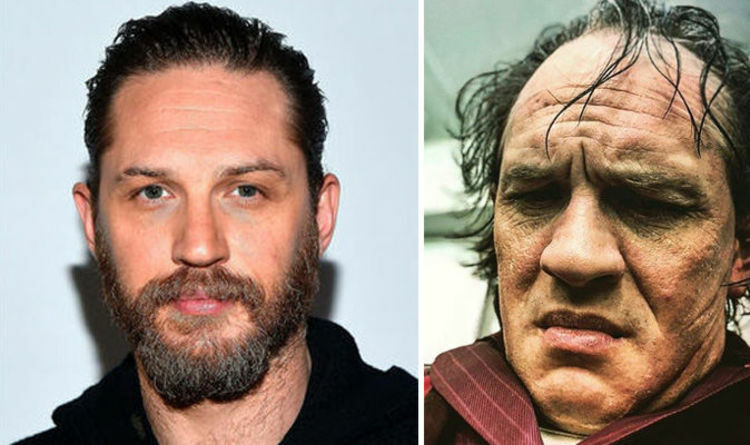 Hardy has already piled on the pounds and muscle to play another criminal Charles Bronson and the monosyllabic Bane in Batman: The Dark Knight Rises. This time he is playing a less physically imposing but equally terrifying man. However, Capone’s final years saw him housebound and frail, brought down by syphilis and gonorrhoea, the effects of cocaine addiction (which included a perforated septum) and dementia. He died aged just 48. Hardy just posted one image with the tagline “Mega awkward character misstep”, although it remeian unclear what he means. This was preceeded by a ore traditional interpretation of Capone in balck and white, showing the disfiguring facial marks which earned him the nickname Scarface. The film itself is named after its subject’s rather more affectionate other nickname, which is a shortening of the gangster’s first name, Alfonso. Before Fonzo hits the big screen some time next year, fans can see Hardy as another monstrous character. He will play Eddie Brock in the upcoming blockbuster Venom. The Marvel character bonds with an alien symbiote which turns him into the terrifying creature Venom. So far Hardy has only been seen as Brock and fans are bracing themselves to see how far he can go with a truly twisted monster.